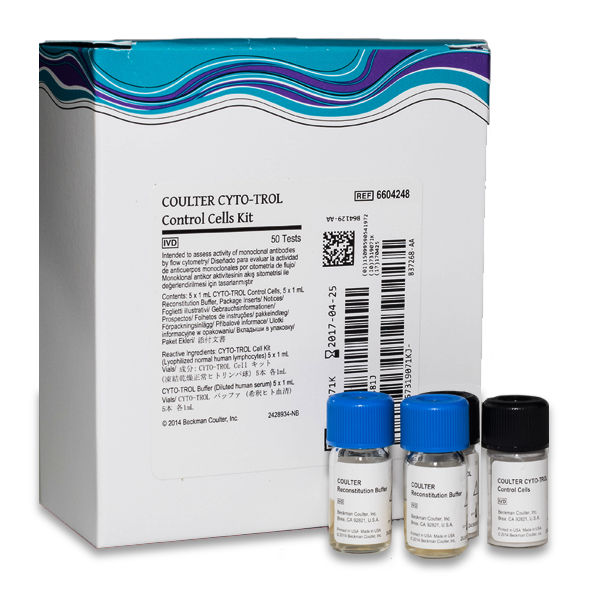 CYTO-TROL Control Cells are used to assess the activity of monoclonal antibodies by flow cytometry. They are a lyophilized preparation of human lymphocytes that exhibit surface antigens detectable with monoclonal antibodies. These cells are isolated from peripheral blood and express antigens that are representative of those found on normal lymphocytes. They may be used with directly-conjugated monoclonal antibodies.